Come down and have some pizza and beer with us. When: Tuesday 9/24. 7 PM start time. Sign in by 6:50 to play in the tournament. Earthshaker will be open for casual play if you just want to hang out. What Games: Current line-up is Roller Coaster Tycoon, Earthshaker, Dracula, Indiana Jones, Radical, Batman and Attack from Mars. Earthshaker will not be used. Format: Partial-Round Robin. In the qualifying round you play three games in three different groups. The top eight players will face off in the final round. Is there some cool, hip or ironic tie to the movie MYSTIC PIZZA? No, I lack creativity. Have you even seen it? No. Maybe someday we’ll watch it together? Sure. I’d like that very much. 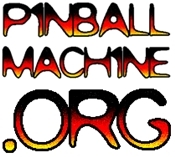 Wpprs: This tournament will award world pinball player ranking points (wppr) at 1/3 value. No, they just opened 8/1. Jonny — Sounds great, thanks for organizing. Have there been other tourneys at Hi-Life this year already?